Frederic Whitaker, N.A. 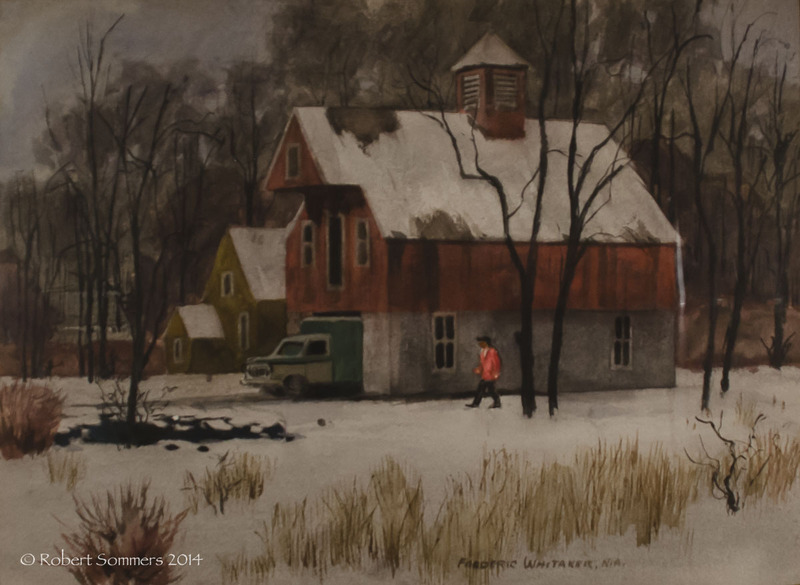 (1891-1980) untitled watercolor depicting a house in the snow. 17 x 22″. Beautifully framed with linen mat. p.o.r.